You’ve heard that other people hire freelance developers but you are also wondering: is it the best way for me? Whether you are running your own business or heading up a team in a large corporate there comes a point where you need to consider whether your development work can be best done in-house or by a freelancer. For every tech-based startup or small business there is another who has an idea, a product or a service but not a tech background. In corporates, staying agile and relevant in an increasingly digital marketplace means trying new and innovative ways to engage with your audience, many of which are grounded in tech. The need for developers is there, but it is good to think about what advantages a freelancer can offer over an additional member of your team. We’ve written before on the blog about the benefits of using freelance developers, especially where you feel that you lack technical skills. Freelancers can often start on your project straight away. They have specialist knowledge in the exact area you want to build your app, giving you higher product quality. This means your app will have the edge over others in your niche as soon as it hits the marketplace. Hire Freelance Developers For Your Small Business? Absolutely! When you are working hard as a small business, looking to increase your income and move towards scaling, adding another member of the team in-house can seem daunting. When you hire freelance developers they are often a fixed cost over a certain period of time. Of course, that relationship might grow from there but in the first instance it gives you a chance to work with someone without the increased responsibility for another employee. With so many competing priorities it can seem like everything might not get done. Taking an area of development that is often overlooked and not moving forward, and outsourcing this to a freelancer is a great way to keep momentum going when time is scarce. Integrating freelancers into your team, especially as a small business, is not as difficult as you might think. With freelancers often working as small business owners themselves, they understand the way that you work and the challenges you face. Working closely together you can both expand your networks, get crucial work done and benefit from the advantages freelancing has to offer. As a startup, finances can be crucial. While you are gaining momentum, growth hacking your following, delivering and refining your MVP, you might also be getting ready to apply for an accelerator or seed funding. At this crucial time adding a tech Founder or another member of staff to the team might seem like adding another mouth to ‘feed’ in the future. You might need technical input from a developer who can take you through the process from your idea to a finished app. 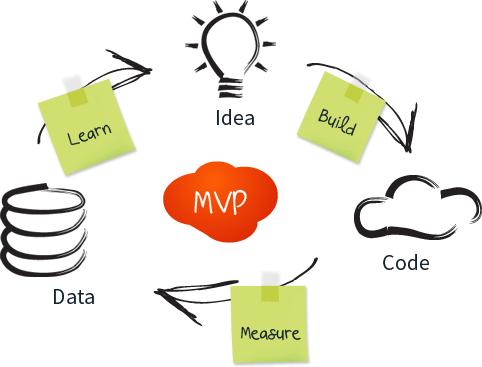 You might have an MVP already but be looking to start adding more functionality and features. Or you might have the technical skills that you need but find that there just aren’t enough hours in the day to build your app in time for launch, and you need an extra pair of (coding) hands. Bringing in a freelancer gives you the resources to keep moving forward on your terms. Want to Execute That Perfect Corporate Project? Whilst you might be part of a large corporate that doesn’t always guarantee that you have the skills available to you to see your project to its goal. Whether resources are being allocated elsewhere or your innovative vision is outside the scope of the skills within your organisation, this is where a freelancer can help. By deciding to hire freelance developers you are taking steps to ensure that your corporate can work in an agile way alongside smaller business and startup ‘disruptors’ that could change the face of the industry that you work in. Deloitte, as part of their Global Human Capital Trends Report 2016, focus on the gig economy asking if it is ‘Disruption or Distraction?’ They note that companies who can embrace a ‘blended’ workforce of direct employees, contractors/freelancers and those they work with in building their network, will be stronger in the future. Bringing your team together around the delivery of a project and using freelancers to work with them to bring about innovative change is a win-win situation. Embracing freelancing as access to another talent pool is a long-term benefit for any corporate now and in the future. New skills, brought into your organisation through freelancers, will be learnt by others and stay within the company. Whilst it is hard to measure exactly how big the so-called ‘gig economy’ of freelance workers actually is, in the US the Brookings Institute reports that it ‘is significant and growing fast.’ In the UK, the McKinsey Global Institute (MGI) estimates that the independent workforce is some 162 million people, or 30% of the workforce. Taking advantage of the gig economy is becoming an increasingly smart option, whatever the size of your organisation. Freelancing is becoming more and more the norm for talented developers, giving rise to a marketplace where you can hire freelance developers from top talent for your project. The key to hiring the best freelancers is to find the best places for quality freelancers who are passionate about the work that they do. We might be biased but we think Yeeply is one of those places. We validate the skills, experience and knowledge of each professional on our platform. Only 5% of the applications we receive are accepted. We want to find the right freelancer to make your project a success. Once you’ve submitted details of your project, we will allocate one or more trusted certified professionals to it and work out a formal proposal together. This will contain an overview of the work to be done, the technologies that will be used, as well as milestones, payment and delivery dates. We find this the best way to ensure successful projects. You know how the project will proceed and we are happy that the best freelancer we have is working on it. Get started today. Submit your project and see where we can take you with the best freelancer talent around.